Other than SAARC countries ITRC center have also been established in Dar e salaam, Tanzania. Talks are in final stages with various organizations in the countries like Singapore, Cambodia, UAE, Liberia for opening ITRC franchise centers. 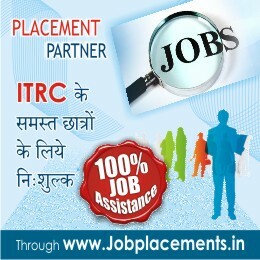 It is the quality of education and world class franchise support system that ITRC is getting excellent response across the globe for opening franchise institute. ITRC plans to open its centers in South Africa, Mexico, China, Malaysia, Brazil, India, Philippines, Thailand, Turkey, most countries in Africa, Central America, Caribbean, much of the Arab world, a few countries from Southeast Asia, Afghanistan, Haiti, Somalia, Sudan, Myanmar, Iraq, North Korea, Argentina, Brazil, Chile, China, Colombia, Czech Republic, Egypt, Hungary, India, Indonesia, Israel, Jordan, Malaysia, Mexico, Morocco, Pakistan, Peru, Philippines, Poland, Russia, South Africa, South Korea, Republic of China , Thailand, Turkey .